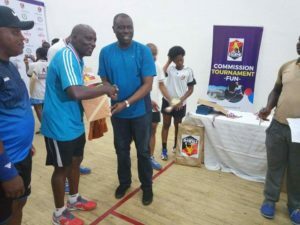 The maiden edition of Akwa Ibom State Squash Tournament for veterans, club players and juniors have ended in Eket. The two days event also witnessed the commissioning of Jacob Esuene Squash Court which was built by the first son, Engr. Iniobong Udoakaha Esuene to continue to sustain the legacy of the late elder statesman, Brigadier General Jacob Udoakaha Esuene for his investment in sport and human capacity development. Speaking at the Commissioning of the Jacob Esuene Squash Court, the Chairman of the event and former Speaker of Akwa Ibom State House of Assembly, Barr. Bassey Essien thanked Wngr. 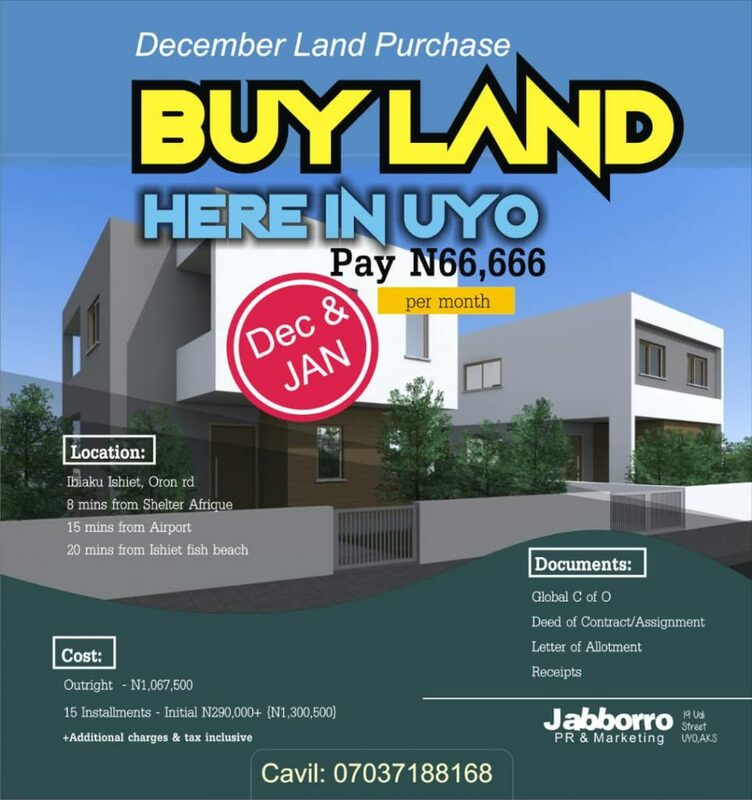 Iniobong and wife for investing in such a gigantic project and urged Squash players to take advantage of the facilities. 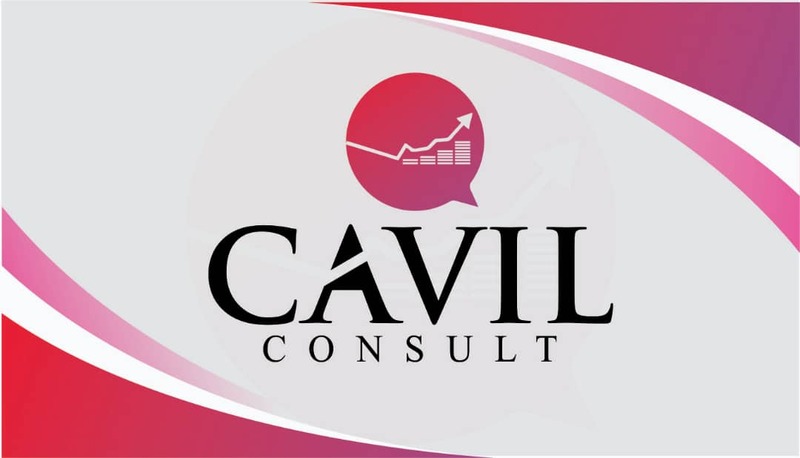 He stated that the best investment is human capacity development and commended the Esuene for their good gesture in investing in the life of others. Speaking at the event, the Speaker of Akwa Ibom State House of Assembly, Rt. Hon. Onofiok Luke who was the Special Guest of Honour thanked the Esuene family for building such a legacy in remembrance of the late elder statesman. Luke noted that the Esuene family is complementing the effort of Udom Emmanuel led administration to invest more in sports activities for the betterment of Akwa Ibom people. 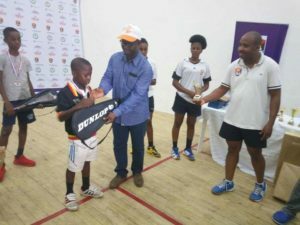 He urged Akwa Ibom people to take advantage of the squash facilities as it will help to build their mental and physical abilities. In his remarks, the President, Nigeria Squash Federation, Boye Oyerinde expressed delight on the investment by Engr. 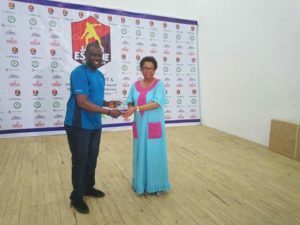 Iniobong Esuene to erect such an edifice, commending Akwa Ibom Squash athletes for being outstanding in their outings in squash competition in the country. He decried the poor state of squash facilities in the country, saying that 96% are not in use. 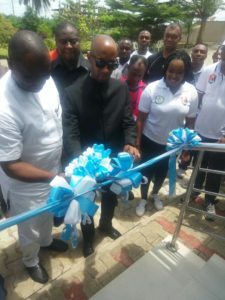 He pledged his support to Akwa Ibom State government to continue to invest more in the sport, promising a bright future for the young athletes. 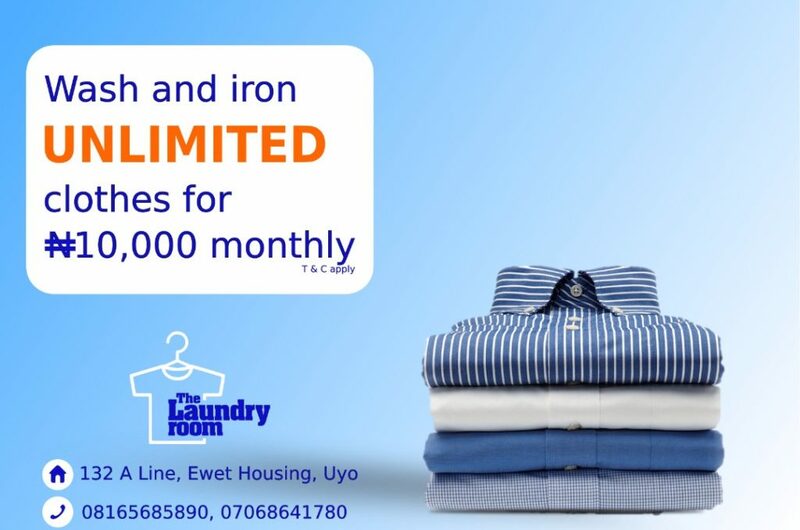 In his address, the Chairman of Jacob Esuene SportsClub, Engr. 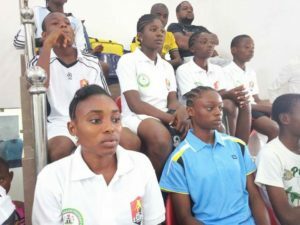 Iniobong Udoakaha Esuene thanked the number of distinguished personalities that graced the occasion despite short notices, saying that the concept of having a Squash Court was born from a fact that it will provide a convenient platform where the game of Squash can be developed and learnt by all age groups for the purpose of producing World Class Players that will compete internationally and eventually put Nigeria name in the global limelight in the game of Squash. 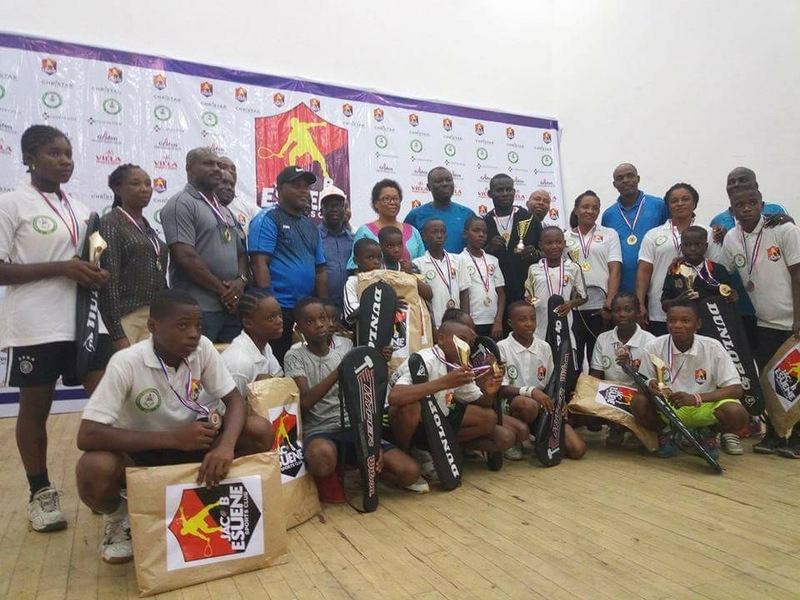 Sen. Helen Esuene in her remarks said that she is impressed with what her son has been able to do to encourage sport development in the state especially at the grass-root level and urged Akwa Ibom people and public-spirited individuals to invest more in the people. 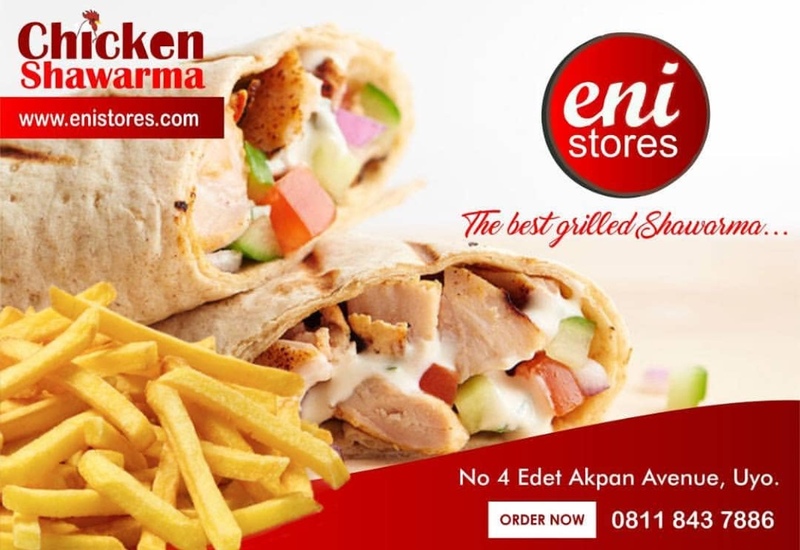 In their separate goodwill messages, the Chairman of Eket local government area, Hon Frank Archibong and Member representing Eket State Constituency in the Akwa Ibom State House of Assembly and Deputy Chief Whip, Rt Hon. David Lawrence thanked Engr. 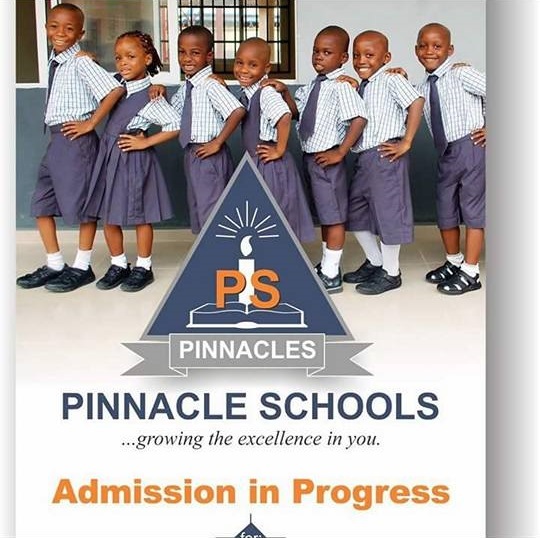 Iniobong Udoakaha Esuene for such a huge investment in sport development, saying it is in line with the Dakkada philosophy of Governor Udom Emmanuel administration. 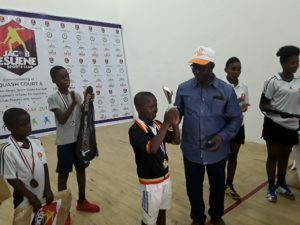 They also commended Sen. Helen Esuene for sustaining the legacy of the late husband by giving her children proper parenting which have resulted in erecting of Jacob Esuene Squash Court, urging the people to take advantage of sports facilities as it will reduce unnecessary stress and sicknesses. 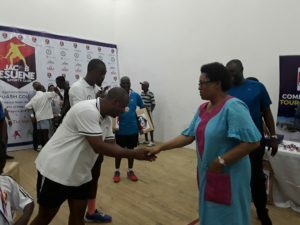 The event was witnessed by SSA to the Governor on Marketing and Brand Management, Mr Sam Edoho, PDP Chapter Chairman in Eket local government area, ObongIwaad Emman Mbong, Coach Instructor Squash Canada, Shakiru Matti, Vice President, Nigerian Squash Referees Association, Mrs. Esther Udofia, among others. 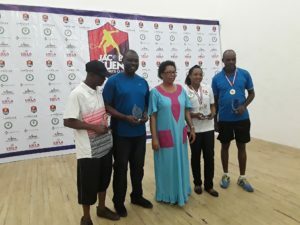 Awards and medals were presented to winners of the Squash Tournament while some distinguished personalities who have invested in sports development in the country including the President, Nigeria Squash Federation, Boye Oyerinde were also rewarded.